In the case of an earthquake, the most critical factor regarding the strength capacity of a struc-ture are the stirrups which should be produced and placed according to all antiseismic specifica-tions. 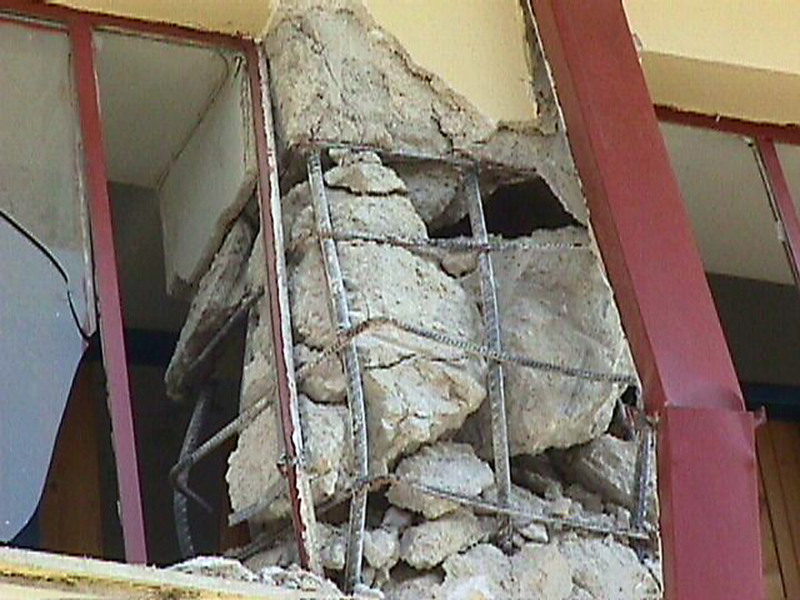 For example, in the 7.9.1999 earthquake in Athens, Greece, no buildings would have had collapsed if their shear reinforcement was the one required by today’s regulations and no seri-ous damage would have been inflicted to 80% of the structures that presented severe problems in their structural frame. Stirrups constitute one of the most crucial factors affecting the quality and the earthquake resis-tant strength of buildings. a. The appropriate hooks at its free edges. Hooks are absolutely necessary for the proper behavior of stirrups especially during an intense seismic incident, when concrete spalling occurs, leaving hooks to be the only anchoring mechanism. b. The mandrel diameter. Stirrups must be bend in rolls with a diameter at least equal to 4Ø, i.e. for Ø 10 they must have a diameter greater or equal to D = 40 mm. c. The required distance between the legs of a closed stirrup. These must be placed at least 200 mm apart from one another (e.g. a column 500x500 must have three stirrups in each layer). 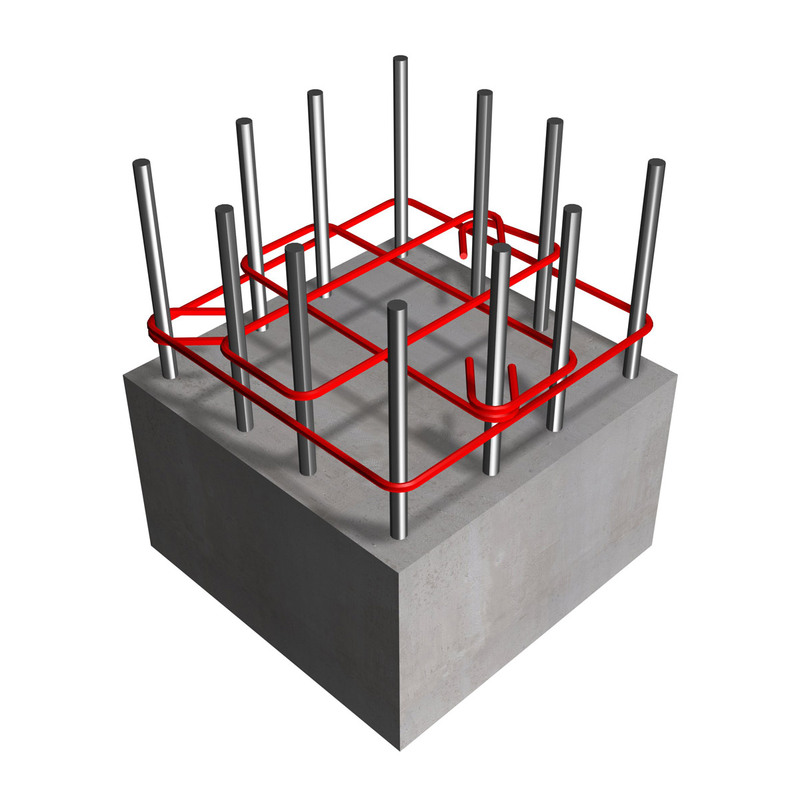 A column with 10% fewer rebars has around 10% lower capacity strength. However, if we re-move even a single intermediate stirrup, the capacity strength of that same column will be low-ered even by 50%. 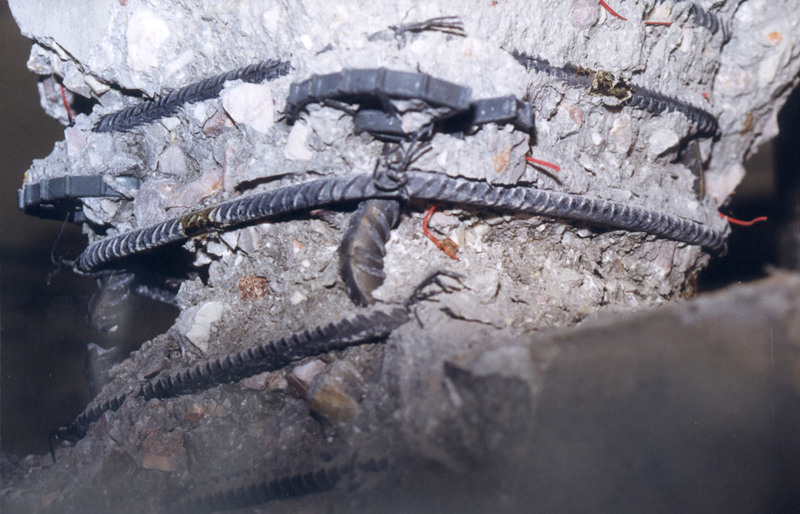 This happens because the stirrup’s removal doubles the buckling length of the rebars previously enclosed by it. a. When stirrups open, concrete disintegration in the column’s head or foot occurs. b. Once the stirrups’ ends become apart, longitudinal reinforcement buckling and concrete disintegration take place. b. with correctly formed, antiseismic stirrups. Throughout the world, structures collapse even when they have a large amount of reinforce-ment. The reason for this is always the same; lack of properly shaped and placed stirrups. During a seismic event intense forces are applied to both concrete and reinforcement bars. These forces cause the lateral enlargement of the former and the buckling of the latter up to the point of their fracture. Typical failure of a column’s upper part. The earthquake resistance of beams and columns depends mainly upon their vertical rein-forcement. Stirrups ensure the confinement of the rebars fitted inside them and the integrity of the concrete that tends to spall due to lateral enlargement. If stirrups are not properly anchored they may open even in low intensity seismic events. 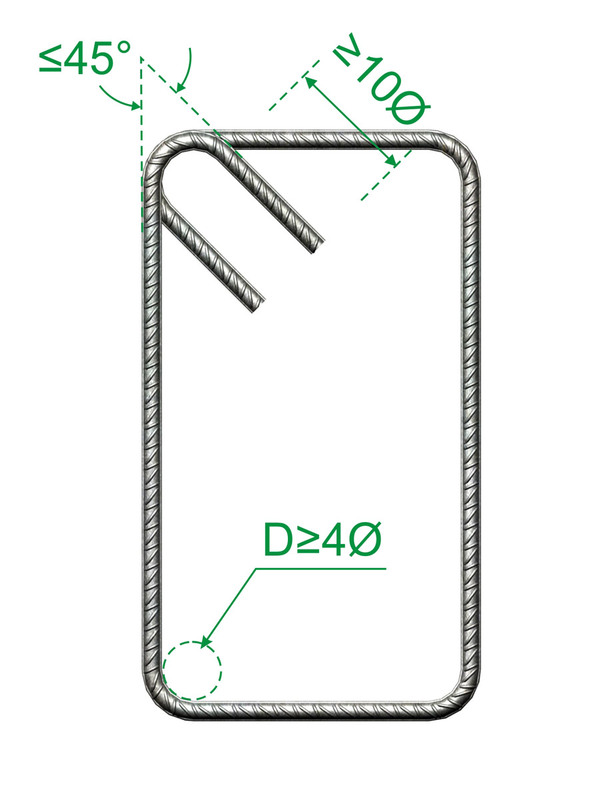 Failure of a column dimensioned according to old regula-tions that required a peripheral stirrup with its end bent in 90° instead of 135° (45°). Generally column failure is induced by rebar buckling which leads to the fracture of longitudinal reinforcement. When there is adequate confinement, buckling length equals the distance be-tween the stirrups. However in cases of loose end stirrups (open stirrups), according to the Greek Code, buckling length may reach twice or three times the stirrups’ spacing in the critical duration of an earthquake.